Home Fire is the first Shamsie book I’ve managed to finish, which is a shame because I love her actual sentences. She’s always lost me when she jumps settings/characters from one time point to another – I just lose interest. This novel is much more intimate, more compressed so I didn’t feel like I was starting over with each section. I wished I had more of the story from Isma’s point-of-view, though, because I found her perspective most interesting: she is the good daughter, the “good immigrant,” the one who raised her siblings, did everything right, got herself to graduate school in the US. Her earnestness contrasts so much with the suspicion which all Muslims, especially those with familial ties to jihadists, etc., are viewed. It is a heart-breaking story about fanaticism on both sides of the terrorism divide, the hard-liners who create policies that condemn those who step out of line no matter which side of the divide you wish to escape or repent of. The last 20 pages or so are superb. Shamsie borrowed the frame of Sophocles’s Antigone for her characters to rail against. Now, don’t worry. You don’t need to have read the play to understand what’s going on. I vaguely remembered Antigone from the Oedipus cycle and had no trouble with the plot of Home Fire. I did, however, read through the play after reading the novel and Shamsie did a wonderful modernization/retelling; the character parallels are very deftly done. I wouldn’t recommend the reverse, reading the play first if you haven’t already, since I think that might spoil a plot point or two. Comment specific to the Man Booker 2017 longlist: this is the 3rd of the 13 longlisted books I’ve read, the other two being The Underground Railroad and Lincoln in the Bardo. While I liked this one a great deal, the other two destroyed me while I was reading them (one with raw power of truth through fiction, the other with exquisite rendering of language and setting). I’ve got the other long-listers on my reading list but Home Fire is in a runner-up position for me. Dear FTC: I read a digital galley of this book from the publisher via Edelweiss (the Sophocles I already owned). Perfect for fans of Jane Austen, this updated edition of Paula Byrne’s debut book includes new material that explores the history of Austen stage adaptations, why her books work so well on screen, and what that reveals about one of the world’s most beloved authors. Originally published by Bloomsbury Academic in 2003 as Jane Austen and the Theatre, Paula Byrne’s first book was never made widely available in the US and is out of print today. An exploration of Austen’s passion for the stage—she acted in amateur productions, frequently attended the theatre, and even scripted several early works in play form—it took a nuanced look at how powerfully her stories were influenced by theatrical comedy. This updated edition features an introduction and a brand new chapter that delves into the long and lucrative history of Austen adaptations. The film world’s love affair with Austen spans decades, from A.A. Milne’s “Elizabeth Bennet,” performed over the radio in 1944 to raise morale, to this year’s Love and Friendship. Austen’s work has proven so abidingly popular that these movies are more easily identifiable by lead actor than by title: the Emma Thompson Sense and Sensibility, the Carey Mulligan Northanger Abbey, the Laurence Olivier Pride and Prejudice. Byrne even takes a captivating detour into a multitude of successful spin-offs, including the phenomenally brilliant Clueless. And along the way, she overturns the notion of Jane Austen as a genteel, prim country mouse, demonstrating that Jane’s enduring popularity in film, TV, and theater points to a woman of wild comedy and outrageous behavior. For lovers of everything Jane Austen, as well as for a new generation discovering her for the first time, The Genius of Jane Austen demonstrates why this beloved author still resonates with readers and movie audiences today. Oooh, a book about Jane Austen and theatre and adaptations? Yes, please! The first two-thirds of Byrne’s new edition, retitled The Genius of Jane Austen, are excellent overviews of the Georgian theatre and playwriting during Austen’s lifetime and her opinion of play-going as reflected in her letters (tl;dr: she liked the theatre and had decided opinions on actors). Even plays that Austen read as a child were reflected in the juvenilia and the plays she wrote to be performed by the family as entertainments. Byrne starts to fall off in examining the influence of theatre on the novels – two chapters examine Mansfield Park (which with it’s home theatre scenes shows the heaviest theatre influence), one each for Sense and Sensibility, Pride and Prejudice, and Emma, and none for Persuasion or Northanger Abbey. There is a nice chapter about Austen adaptations on the big screen (and small) that was added for the new edition but there wasn’t a good conclusion or final chapter to the book. Dear FTC: I bought my own copy. 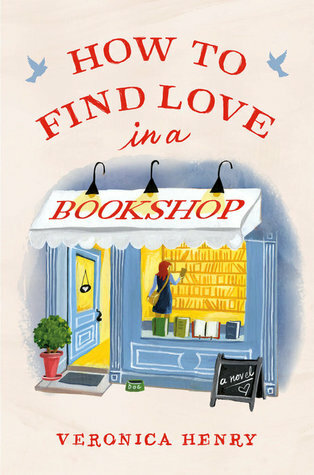 A memoir about the magic and inspiration of books from a beloved and best-selling author. 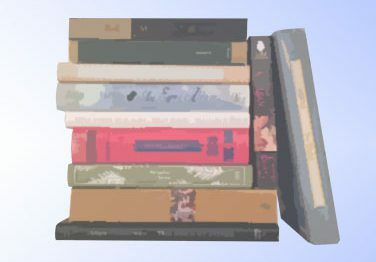 Growing up in a mill town in Rhode Island, in a household that didn’t foster the love of literature, Hood nonetheless learned to channel her imagination and curiosity by devouring The Bell Jar, Marjorie Morningstar, The Harrad Experiment, and other works. These titles introduced her to topics that could not be discussed at home: desire, fear, sexuality, and madness. Later, Johnny Got His Gun and The Grapes of Wrath influenced her political thinking as the Vietnam War became news; Dr. Zhivago and Les Miserables stoked her ambition to travel the world. With characteristic insight and charm, Hood showcases the ways in which books gave her life and can transform—even save—our own. Morningstar is a delightful little memoir about finding yourself in books. 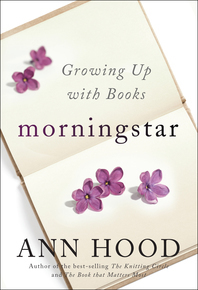 Ann Hood didn’t grow up in a family of readers but she found her way to books and never left. She organizes each chapter into a “lesson” she learned while reading. I did so love the moment her teacher realized she read far above her peer group – if you’ve read Little Women, you’ve been there.